Work anywhere, on any device. Imagine your entire IT infrastructure hosted securely in the cloud. That’s the Freedom Cloud. Built by Fortune 50 class engineers in an enterprise grade data center, you get unmatched accessibility, security, productivity and cost savings compared to traditional physical on-premises IT. 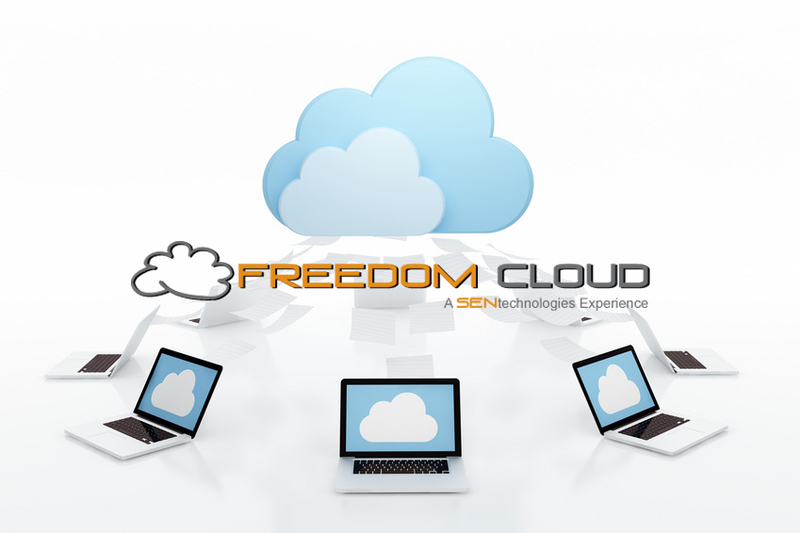 By design, the Freedom Cloud allows for business continuity as your entire technology infrastructure is located and hosted in a data center. With it, you can work virtually anywhere and on virtually any device. Power go out at the office? Jump on a smart phone and finish your email. The Freedom Cloud is highly secure with layers of encryption and managed security only found in an enterprise-grade data center. It is compliant with many federal agencies, including HIPAA. Because your computing power is happening in the cloud, your performance is faster than if it were happening on physical equipment in your office or home. Employees are able to work with faster performance, and are not subject to idle time waiting for IT to fix physical servers. With the Freedom Cloud, you are free to allow a sick employee to work from home with the same security as she would have at the office, or finish a proposal from a coffee shop where there’s less distraction. Field agents or outside sales people are connected to the same network as the office without the hassle and maintenance costs of a clunky VPN or the security implications of business data on a laptop outside your premises. Compared to traditional IT with physical servers that need constant maintenance and replacement every few years, hosting your infrastructure in the Freedom Cloud pencils out to long term savings in addition to all of its other benefits.